To protect baby from the sun and keep them entertained whilst in the car! 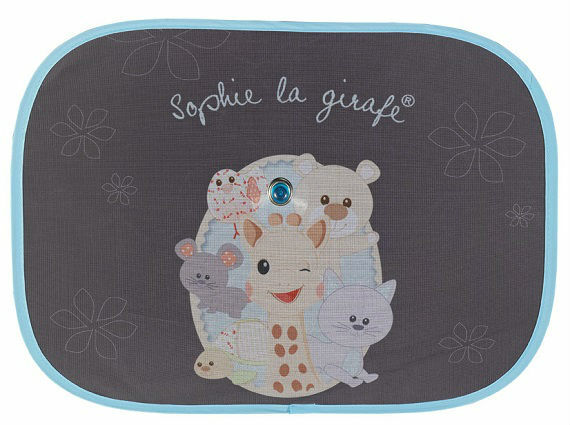 a sunshade with Sophie the Giraffe and friends design. 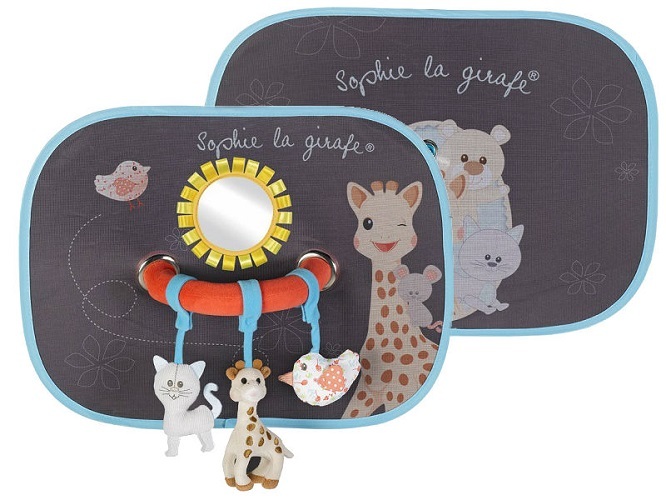 The sunshade with Play Arch features a detachable mirror and 3 accessories: Kiwi the Bird has scrunchy wings, Sophie the Giraffe plays a gentle, soothing melody, and Lazare the Cat has a bell for ringing. 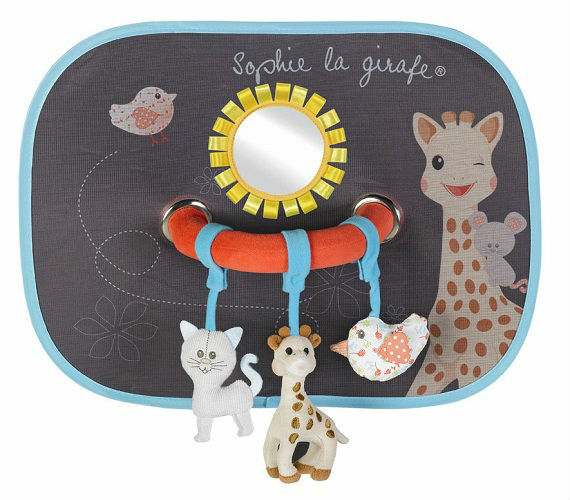 All three Companions are detachable and their velcro fasteners mean they can be attached to a multitude of places.